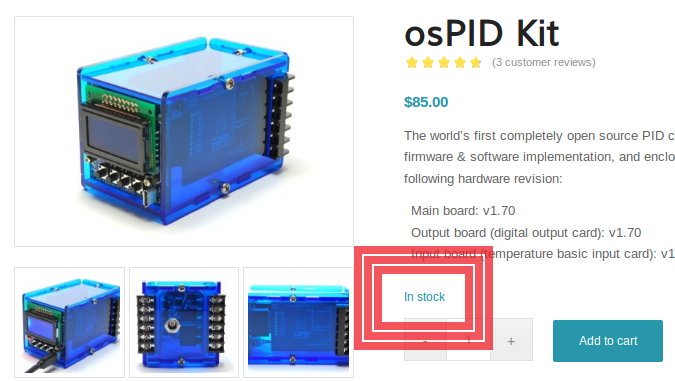 I’m happy to announce that the osPID is now officially back in stock at Rocket Scream. There have been some improvements to the hardware (usb micro instead of mini, louder buzzer, etc,) but mostly this was about getting a more reliable supply chain in place. Thanks to everyone for being so patient during this dry spell. The changes we’ve made should insure that moving forward, when you want an osPID you won’t have to wait.